Slovenia is ranked 7th among 144 countries with respect to gender equality according to the most recent report of the World Economic Forum (WEF). The index of the American Woodrow Wilson Institute and the United Nations Development Program (UNDP) on women in positions of leadership in the public sector ranks Slovenia even higher, in 5th place, right after the Scandinavian countries and Canada. And according to data of the European Institute for Gender Equality, Slovenia continues to be the best country among new European Union members with respect to equality of women and men. However, the situation with regard to Slovenian feminism could not be described as ideal. The transition from socialism to capitalism after Slovenia gained independence was accompanied by processes of retraditionalization and domestification. Slovenian women, in contrast to women in some other Eastern European countries, have so far managed to resist these currents, and credit for this goes to the considerable number of rights gained by women under socialism, ones that many women in the West could only have dreamed of at that time. Although these rights were not fought for and won on the streets, but handed down from the top of the socialist government thanks to women communists, they were deeply rooted in society, becoming self-evident, and the majority of women and men today are no longer willing to relinquish them. 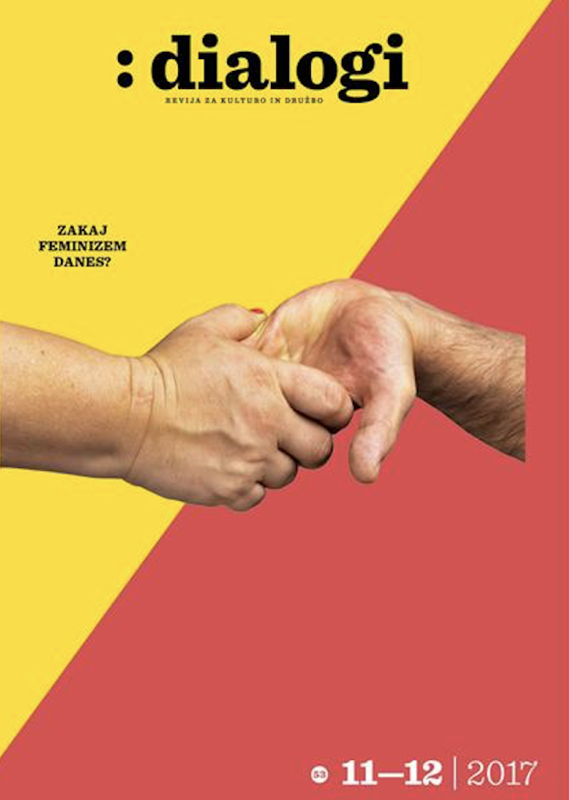 The Slovenian magazine Dialogi recently published a thematic issue entitled Why Do We Need Feminism Today? 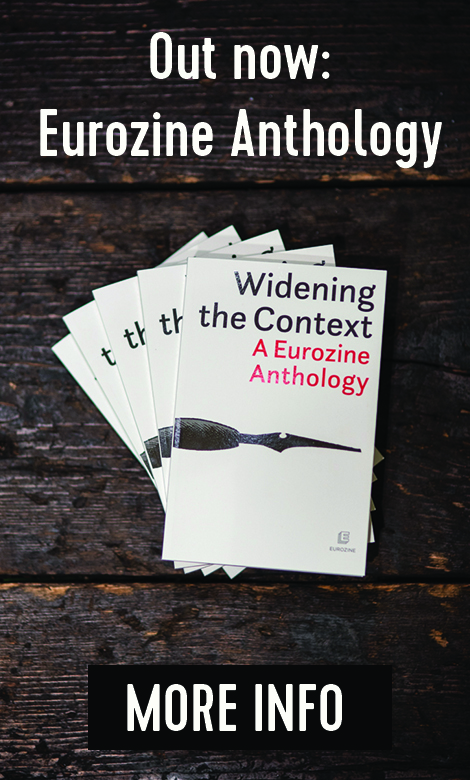 (11−12/2017), edited by philosopher Katja Čičigoj and sociologist Jasmina Založnik, who is also Dialogi’s editor for feminist approaches. Most of the issue was given over to voices of third-wave feminists who have been working as activists in nongovernmental organizations from the 1990s on, but the editors believed it was also important for young feminism to be aware of its history so we prepared interviews with selected representatives of second-wave Slovenian feminism, who started out working in the specific conditions in socialist Yugoslavia during the 1970s and 1980s, introduced women’s studies, and are today referred to by some as ‘women academics’. The first, oldest wave of Slovenian feminism began in a similar way to today’s NGOs, as activism: united in various women’s societies (the first was founded in 1898), Slovenian women, like their counterparts in the West, struggled primarily for the right to vote and protested social inequalities by organizing marches, signing petitions, lobbying, and so on. 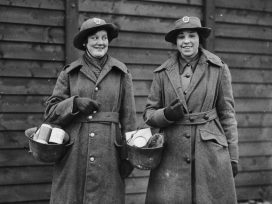 In advance of World War II, all women’s societies except Christian ones also spoke out against fascism. But they were unsuccessful in their basic demands: women in Yugoslavia gained the right to vote only in 1945. It was socialism that emancipated women as antifascist fighter-partisans and worker-builders of the new society. In 1945, the Slovenian republican government within the Yugoslav federation was one of the first in the world to have a woman minister – Vida Tomšič, in charge of social policy. In 1947 the legal stigmatization of single mothers and illegitimate children was done away with. In 1976 Slovenia was one of the first in the world to give equal treatment to legally married couples and those who were cohabiting but unmarried. Today more than half of all children are born to and live with unmarried couples. In 1974 a provision giving women freedom of reproductive choice was introduced into the constitution of the Socialist Federal Republic of Yugoslavia. Three years later Slovenia legalized the right to terminate a pregnancy for non-medical reasons. Abortion and contraception are free. But despite the full employment of women (in 1992 the level peaked at 47 percent of all employed and today it is around 45 percent) the society remains patriarchal in its mentality, particularly with regard to relations within the family. The socialist government tried to alleviate the dual burden carried by women at work and at home through additional measures such as the construction of public childcare facilities and all-day school. In Slovenia today the majority of preschool-aged children are enrolled in care, and primary schools provide organized programs of afternoon care and meals for children. After Slovenia’s independence the political right attempted to ban abortion and began to glorify motherhood. Slovenian women successfully defended their reproductive rights, and some new practices, such as the extension of parental leave for fathers and the increasing numbers of men who make use of it, are encouraging. At the same time, advocates of the new rights were disappointed when a majority of voters at a referendum in 2001 denied single women the right to be artificially inseminated. Two of the interviews from the special issue of Dialogi are presented below in English translation: one with Metka Mencin Čeplak, a psychologist and scholar of feminism who previously served as an MP during the period of independence as well as president of the parliamentary Commission for Women’s Politics; and another with Mirjana Ule, among the country’s leading researchers on the position of women in Slovenia and the former Yugoslavia, and author of a landmark article on the position, consciousness, and activities of the younger generation in Yugoslavia in 1985/86 that revealed great differences in the level of critical thinking and value-orientations among youth in the different Yugoslav republics, which already portended the later dissolution of the country. Čeplak, now an assistant professor at the Faculty of Social Sciences at the University of Ljubljana, was also at the centre of the struggle to implement and preserve Article 55 of the Slovenian Constitution, which states that persons are free to decide whether to bear children. The article represents the foundation for the right to abortion and is a constant target of the Slovenian Catholic Church and populist right-wing political parties. When and in what sort of social context did you come to be involved in feminism? I can’t precisely identify the beginning but I can definitely say that the debates on population policy in the 1980s concerned and angered me to the point of becoming publicly active. In the 1980s we began seeing warnings in the media about the supposedly low birth rate in Slovenia and various ‘theses’ about the dying out of the Slovenian nation. In 1989 there appeared the document Proposal for Population Policy in the Socialist Republic of Slovenia, prepared for the government by a special working group and proposing measures to halt these ‘alarming’ trends. The Proposal in fact supported patriarchal and ethno-nationalist ideas and practices, and the imposition of child-bearing behaviour: among the primary goals of the population policy were listed the preservation of national identity and raising the rate of natural increase of the population, and among the measures proposed for increasing the birth rate and ‘the stabilization of our population’ were a tax ‘on non-reproduction’ and additional payments for ‘higher-order births’ as incentives for having more children. The document emphasized that along with introducing these measures it would be necessary to prevent ‘intense immigration’, and particularly the immigration of unskilled and uneducated people from other republics and abroad. Parenting was reduced to motherhood, and women to (potential) mothers; in the first version of the document they even advocated restricting the right to abortion. All of this happened during a time when ‘on the other side’ new social movements were opening up a civic space and affirming a policy of space for citizen initiatives that advocated for equality, political freedoms, and human rights. They caused disorder in the Rancieran sense, well, at least it seemed so. In such circumstances it was not difficult to become an activist. I became involved in feminism through activism in a politically highly specific period: it was marked by threats of ethnocentrism and attempts to legitimize patriarchal policies on one side and on the other by the broad public activity of political alternatives in support of equality and political freedoms, among them a feminist movement and a gay and lesbian movement, both of which steadfastly avoided the traps of ethnocentrism and ethnonationalism in their struggles for equality. Regardless of the reactions of the political authorities, despite the deepening nationalism, personally I experienced that period as a very open one precisely because of the citizen initiatives of the new social movements. How did you inject your feminist perspectives into the field of the social (into the public sphere)? I began to be active publicly first in the framework of the League of Socialist Youth of Slovenia (Slovene acronym: ZSMS), through articles in youth publications and in the weekly periodical Telex, and later on I became active in the groups Women for Politics and the Prenner Club. In 1986 the cover of one of the issues of the bulletin of the ZSMS Municipal Conference (I was the editor-in-chief) drew attention to what I was talking about earlier: the cover ironically depicted the ‘concern’ over the ‘dying out of the Slovenian nation’ with a menstrual cycle calendar marking menstruating and fertile days, and carried the appeal ‘Slovenians, men and women! Slovenian children are the salt of the Slovenian earth, therefore, let us be fruitful!’ The front cover needs to be read together with the back cover, which highlights the assumptions and the effects of ethnocentric and patriarchal ideologies and policies: it depicts a woman with head bowed, wrapped in barbed wire (the front and back covers were designed and drawn by Slavica Mencin). The debates problematizing the supposedly low birth rate of Slovenian women and simultaneously implicitly or explicitly blaming access to safe abortion for it, which began in the mid-1980s and became increasingly frequent and aggressive before the parliamentary elections of 1990, were the reason why I agreed to be a candidate for the Socio-Political Chamber of the National Assembly of Slovenia. A deciding factor was the encouragement of Milica G. Antić1and the fact that I also expected support for political equality, if I can call it that, from the ZSMS leadership (which renamed itself ZSMS-LS before the election and later became LDS – Liberal Democracy of Slovenia2). And I indeed focused my work as an MP on legislation affecting or potentially having an impact on the position of and opportunities for social minorities: women, gays and lesbians, immigrants, and others. The constitutional debate that characterized the greatest part of our mandate was rife with a whole range of traps, among them also the threat of restricting access to safe abortion. Women’s rights and opportunities were one of the areas where there were attempts to make a radical break with socialism – socialism in contrast to the free world supposedly forced women into employment and deliberately tore them away from their families, gynaecologists supposedly promoted abortion, and all of this threatened the nation. And women. I think the parliamentary Commission for Women’s Politics that I headed succeeded at that time in achieving something very important: linking together autonomous women’s groups and movements, political parties, or rather, their women’s sections, experts and theoreticians. This cooperation – with strong media support – reached its pinnacle with the mass demonstrations in support of Article 55, and later also with important victories in the field of health and social legislation. We also raised the issues of quotas and the use of grammatical gender in documents. At the end of the mandate I remained active for some time in the field of women’s policy in LDS and in the work of the governmental Office for Women’s Politics. Has your feminist perspective changed over time, and if so, how? There haven’t been any major shifts, but it’s true that after leaving politics I started to become more involved with feminist theory and analysis of gender differences in academic research. I also became significantly more sceptical of the institutionalization of what in the past we called women’s politics. Of course I still believe that it is essential for governmental and public institutions to be guided by policies and to realize measures that are a condition for equality. At the same time it’s clear to me that institutionalization is frequently both a beginning and an end to efforts by the institution for equality unless we remain vigilant and refuse to scale back our demands. And I think that we fall short if we overlook the pernicious effects of capitalism. I’m far more critical than I used to be towards liberal feminism with its focus on the relative numbers of male and female bodies in positions of privilege, while completely overlooking class and other axes of inequality and subjugation. And if I had to define myself politically, I’d call myself an adherent of socialist feminism. How do you see feminism today? There has never been just a single unitary feminism, and there isn’t one today. Feminist activism and feminist theoretical production are characterized by many contradictions, and the responses to them are also contradictory. On one side there is an efficient alliance of liberal feminism and post-feminist promises about how ‘everything is possible’ with an apolitical neoliberal central current, media representations of successful women, and an advertising industry that sells all manner of things using images of successful women, while on the other radical feminist critiques of capitalism are taking shape; movements of marginalized groups, which are often regarded with suspicion or even hostility within feminist groups, as for example that experienced by transfeminists, are multiplying. On one side the number of feminist initiatives is increasing and theoretical production is expanding, on the other side patriarchal extremism is growing stronger. How would you diagnose the position of women today with respect to feminist struggles in the past and their achievements? At first glance, everything seems to be fine: there is a general belief in the equality of women, and a recognition of the need to ensure women the same rights, autonomy, political and social influence … all this has gained widespread acceptance; the education of women is rising faster than the education of men; women occupy important leadership positions in the economy, the public sector, and politics, and the European Union encourages member states to take measures that reduce gender disparities. On the other hand, the processes of dismantling the public sector threaten the accessibility of a whole range of services that used to be taken for granted – for example, in the field of childcare, privatization is expanding choices for the privileged while reducing access to such services for an increasing proportion of the population. Calls for the charging of fees for services relating to the reproductive rights of women (contraception, abortion, biomedically assisted insemination) are on the rise, but justified by the imperative of saving money. Demands for the criminalization of abortion are also not unusual. Support from the European Union in this area is not to be expected, as the rejection of the Estrela report in 2013 – if nothing else – shows. With the lowering of the value of human lives, the value of women’s lives is structurally even more intensively lowered. Women are crammed at the bottom of the bottom: abused refugees; older women who bear the burden of inequalities that have accumulated throughout their lives; strictly monitored women workers … at the beginning of the millennium, 77 percent of women in Europe were among the working poor. Nevertheless, the European Union is concerned primarily with the relationship between men and women at the top of the social hierarchy and the more effective exploitation of the potential of women – and this is how neoliberalism has successfully appropriated feminist demands. 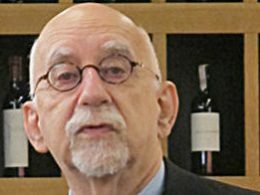 Misogyny is becoming increasingly more vocal and more legitimate: even in the West, the open, blatant degradation of women is becoming more widespread – it is spreading from the very top of the political hierarchy (the USA, the European Parliament) as well as through though the statements of well-known intellectuals (to mention just the statement by B. M. Zupančiča3on the occasion of the death of Simone Veil). These are sufficient arguments to counter the reassuring, patronizing and paternalistic claims that women today have never had it so good. Mirjana Ule is a social psychologist and full professor at the University of Ljubljana Faculty of Social Sciences. Ule introduced the sociology of everyday life in Slovenia and has led a range of important studies on the position of women in Slovenian society, from the first ones in 1977 onwards. I first became acquainted with feminism during my years as a university student in the 1970s. I became involved with feminism initially through my personal experience and not out of a professional interest. That came later. The student movement was important and formative for me and my generation. During the time of the student and new social movements, in which we actively participated, we encountered different ways of thinking and of experiencing relations towards the public and the political as well as the personal and oneself. At the same time it is interesting that neither the student nor the other social movements at that time focused on the problem of patriarchal ideology and gender discrimination. We women had to do that ourselves, in our own movement, when we continued to be overlooked even though we were active participants in other movements, subcultures, and rebellions. For this reason the feminist movement of that time was also an immanent critique of the idea of emancipation as it was understood by other social movements. In the feminism of the seventies and eighties we applied the concept of experience or practice primarily on two levels: as an exchange of experience among women in small groups, in which women could come to recognize their own subjugation, and this experience simultaneously served as the only possible assumption for any theorizing about the subjugation of women. It was because of these links between experience and practice and theoretical reflection that feminist theory became defined as a specific theory that does not separate experience from theoretical reflection. Of course we were coming from the experience of socialism. Socialism gave us women educational and employment opportunities, and economic autonomy; at the same time, though, women bore a double burden in the home and in the workplace, and were excluded from the public sphere, especially the political. Public space for women under socialism did not exist as a political space. Women were visible in public primarily in non-political activities, in the sphere of labour. Yugoslav socialism tried to actively overcome national contradictions through the idea of brotherhood and unity, and class contradictions through the socialization of private property. However, it did not involve itself in patriarchal relations, which were strongly present in all the traditions and cultures of Yugoslavia at that time and continued to be maintained in the subordinate position of women in the private and public sphere. Given this extremely strong patriarchal culture in all the environments of the former Yugoslavia, the mass employment of women just increased the burdens and responsibilities of women. Fairly liberal family laws and social policy only partially alleviated the double burden on women and had no impact on greater equality between the sexes. At the ideological political level, the prevailing view was that the resolution of class conflicts would also automatically resolve the issue of gender relations and abolish patriarchal relations. Therefore, placing women’s issues and relations between the sexes on the public agenda was politically and ideologically stigmatized, and labelled as a flirtation with bourgeois traditions and Western influences. In the eyes of regime ideologists, the logic of women’s emancipation threatened the traditional collective institutions on which the system was based. The independent organizing of women and feminist theory was not desirable in socialism. For this reason our activities were oppositional and frequently regarded as subversive for both the power structures as well as for the male part of the population. An important part of the cultural tradition in postwar Yugoslavia was also the heroic figure of the women fighters in the national liberation struggle. This was definitely an emancipatory figure and appeared immediately after the end of the Second World War. In the 1950s, it was replaced by the woman of socialist realism posters: women as builders of the new society in factories, work brigades, and sports. This figure reflected the spontaneous assimilation of women in men’s activities. In the 1960s this figure of heroines and women builders began to disappear from the public space. With the gradual rise in the standard of living and the beginnings of a consumer society in Slovenia and Yugoslavia as well, the idea of the bourgeois family and the central figure of the woman as housewife within it begins to be promoted again. The ideology of construction is replaced by the ‘ideology of want’, which the media begin promoting and which becomes a constitutive element of the emerging consumer society. As early as the 1970s, tabloid journalism comes into being. The women’s media, which up until then has been dedicated to the celebration of women’s work in society and in the family, begins to change. It begins glorifying the female body, imposing ideals for the female body, interior, and sentimentality. All of this overshadows the assimilated figures of the women of socialist realism culture, the fighters and workers. Female figures in the male section of the tabloid press start being developed as commercial sexual objects. Illusions begin to be produced. During this period a feminist movement emerges in major centres in Yugoslavia (Belgrade, Zagreb, Ljubljana). The essential feature of the feminist movement in the seventies and eighties was that it offered its own emancipatory potential and refused to become or remain only part of some more important emancipation or act in the service of a more general movement. The first public media event in Slovenia (and in Yugoslavia) in which feminist theory and activism was publicly presented took place in March 1976 at the Conference of Sociologists in Portorož, organized by the Institute for Marxism of the Central Committee of the Communist Party of Slovenia and entitled The Social Position of Women and the Development of the Family in a Socialist Self-Managing Society. Representatives of the official political elite, who still perceived women’s issues as part of the class question, as well as researchers from academic fields, who problematized this concept and the position of women in general, participated in this conference. Feminism was officially discussed for the first time in the section Feminism under Socialism. Thus there were several public, open, and conflicting encounters at the conference, which up until that time had not been customary in a public setting. The production that followed, international appearances by feminists from the former Yugoslavia, led to the perception of ‘Yugoslav feminism as a kind of women’s alternative ideology in Yugoslavia’, as it was called by Stipe Šuvar, then Minister of Science in the Yugoslav government. Since the end of the 1970s, a certain sensibility and intellectual acceptability for the ideas of feminism have emerged in Yugoslavia and in Slovenia almost in parallel with developments internationally. From that time on talking about the position of women has meant expressing a view towards feminism. This fact was especially expressed in the views of opponents of feminism. For them there was never anything problematic in relations between the sexes in Slovenia (and Yugoslavia) apart from feminism. For the power structures the difficulties faced by women in the work and family settings were not problematic. In their view these would be automatically resolved through social development. The problem was the subject who raised these issues. In fact we can refer to a ‘left’ and ‘right’ anti-feminism in the space of the former Yugoslavia of that time. Leftwing anti-feminism labels feminism as a bourgeois ideology and thereby discredits it politically. Rightwing anti-feminism is more subtle, but has a far greater influence on society. Feminism is referred to as an anti-national, anti-population ideology. In Yugoslav society both forms of anti-feminism existed. The basis of this critique was that feminism is nothing more than a war between the sexes encouraged by women. With the first public and media presentations, women’s issues became a legitimate topic of research. Those of us who remained in the academic sphere transferred our engagement in the feminist movement to academic research and began to establish women’s studies. Women’s studies as an academic, institutional result of the development of the feminist movement have developed a key theoretical innovation in the social sciences – women’s perspective in understanding and explaining social phenomena and contradictions. The basic problem that we were facing was the problem of legitimacy and the right to academic status, just as we fought for political status in public life. In 1977, the then Research Community funded a study entitled The Social Situation of Women in Slovenia. The research was carried out at the Faculty of Social Sciences of the University of Ljubljana (led by Mirjana Ule, assisted by Silva Mežnarič and Nuša Ferligoj). The empirical basis of the research was a special set of questions about the division of roles in the family and society in the 1977 Survey of Slovenian Public Opinion. It was one of the first empirical studies on the division of roles in the family, and it was also methodologically innovative since it monitored changes that, according to respondents, had occurred over three generations. The basic questions in the survey were: what is the current distribution of roles in the family, what changes have occurred in the distribution of roles in your own family compared to your family of origin, and what dynamics of changes in gender roles in future generations do respondents expect? The results were processed with two very innovative methods in the field of nonparametric statistics: the method of hierarchical data sorting and Markov chains. This was the first use and testing of these methods in Slovenia. In general, it is interesting that women’s studies and research have introduced several innovative methodological approaches and models in sociological research. We presented the results of the study at the World Sociological Congress in Uppsala and generated much surprise, as this was the first presentation of women’s studies from a socialist country. The main finding from our study was that the division of labour in families in Slovenia in the 1970s was fairly traditional and patriarchal. A comparison with the generation of the parents showed that the so-called expressive roles (child care, providing meals, housework) were mainly women’s tasks, but compared to the previous generation women also took on instrumental roles (deciding on purchases, taking care of finances, setting rules for raising children, authority). The key finding of the study was that women’s mass employment in Slovenia had not led to an easing of the burden on women or a more even distribution of work in the family (as well as in society). The declared equality of women was limited to mass employment. Higher standards with respect to homemaking and raising children, and the pressures to consume, additionally burdened women. It is interesting that men in the survey adopted gender equality at the declarative level, but in their own families wanted to maintain a traditional division, in the sense of: ‘I have nothing against the equality of women, just not in my family!’ The solution was seen in the development of the consumer society, in technology taking over exhausting household work. The main problem encountered by the feminist perspective in sociology as well as in other disciplines when it was established is the issue of legitimacy and the right to academic status, just as it struggled for political status in public life. The main resistance to the affirmation of the feminist perspective came from established academia and its resistance to emancipatory discourse. The principal argument against the feminist perspective was that it was perceived as unscientific and having ideological tones, that feminist studies do not have a discursive but a more intuitive character. At the same time it should be noted that feminist studies would not have arisen if they had been merely the result of theoretical debate. Feminist studies are the result of theoretical activism as an emancipatory attempt to study gender inequality, which sees and interprets the absence and insensitivity of theory as a ‘political phenomenon’ and not as an academic omission or mistake. The feminist perspective brought the following theoretical innovations into the social sciences: the thematization of the private/public relationship – the dualism upon which rests women’s unequal position in society; the concept of sexism as an instrument in the analysis of the ideology of gender roles; and the affirmation of gender as a social category and as an empirical problem. Up until then the private sphere had been treated in sociology as an area of personal emotions and needs that are subjective and irrational and therefore not in need of particular theoretical analysis or holding any potential for research and innovation. Side by side with this division are the categories of masculinity and femininity, and gender division. Here, too, the prevailing thesis was that men reproduce themselves in the public sphere, economically and politically, while women reproduce themselves in interpersonal relationships, in the family in response to the needs of other people. A woman was defined by her intimate relationships within the family. Thus it is the private, the personal, and the emotional that represents the starting point for the feminist perspective in sociology, which defines the personal as the social. The feminist slogan ‘the personal is the political’ has encouraged the flourishing of sociological imagination in this field. The personal has finally acquired the status of a sociological fact thanks to the women’s movement. The unproblematized personal thereby became visible, problematic, and deserving of sociological treatment. What is more, in recent decades, phenomena such as everyday life, privacy, and related sub-topics such as the family, relationships, the body, health, eating habits, lifestyles, and individualization have become topics attracting the most attention in sociology. The emergence and development of feminist studies has significantly influenced the change in the status of women’s issues in social theory. It has opened up the possibility of a general perspective on all the contradictions of gender relations. Feminist principles have had a profound effect on women’s self-confidence, including my own, and on the formation of our identity. But they have influenced generations of women differently, depending on whether they were shaped and grew up before the emergence of feminist movements or during them. For the generation of women who embarked on independent careers before the emergence of feminist movements, it is characteristic that, under the influence of the media reception of the feminist movement, some patterns of behaviour have changed, but not identities. This generation of women was also the first to benefit from some of the achievements of feminist movements, such as the liberalization of marriage, the general availability of contraceptives, easier access to higher levels of education, and broader employment opportunities. For women whose personalities were formed right at the time of feminist movements, especially for women students, it was almost inevitable that we experienced these movements and their struggles very personally. We accepted the social changes these movements brought about as an important factor in shaping our identity. Political mobilization around a particular problem has had deep and far-reaching effects on our lives. We felt committed to it. I remember our struggles in the 1990s to preserve the right for women to freely decide whether to bear children, when Slovenia was in the process of drafting and adopting a new constitution. Even today, these problems are of great personal concern to us, and we are ready to become involved when these rights, which are at the very foundation of the feminist movement, are jeopardized. Women in the new democracies have also become the object of special ideological persuasion. But the nature of this exhortation has changed greatly. Instead of the formerly mostly economically imposed proletarianization and the politically imposed emancipation of women, what is now emerging is the economically and politically imposed commodification of women. A woman is exhorted to care for her own body and her home, to stay upbeat in her personal life, and to participate in consumption. After years of activism, theoretical work, and skilful lobbying, in 1990 the first women’s politics commission in Slovenia in the then parliament and in 1992 the governmental Office for Women’s Politics were established. In 1996, when the National Assembly was constituted, the Commission for Women’s Politics was abolished. The Office for Women’s Politics was renamed the Office for Equal Opportunities and has become reduced to some kind of official service. In the past two decades, there has been a dual decline: the decline of the feminist movement and along with it non-institutional women’s politics, and at the same time the decline of institutional women’s politics. Thus the issues concerning women that became mainstream after 2000, and thus invisible, or the way in which they were present was insulting. Anti-feminism in recent decades is also different from what it was in the seventies and eighties. If at that time it was more a response of the dominant patriarchal ideology and politics, which perceived feminism as a critique of itself, today it is more a response of people to the stigmatization of politics and public participation in politics. In fact, today we can distinguish between principled and pragmatic anti-feminism. Principled anti-feminism is a general negative attitude towards the equality of women. Pragmatic anti-feminism is a relationship to the images that are assumed to represent feminism. Today, pragmatic anti-feminism is dominant since it is nevertheless harder to call into question the need for the equality of women under the law. For the generation of women who have entered into independent lives over the last two decades, the many achievements of these movements are taken for granted. Additionally, modern consumer society puts pressure on women in a different, much more subtle and sophisticated way. Today, women are not socialized into a sexual role by means of traditional discourses about bearing children, being homemakers, and keeping house. Today they are socialized through pressures regarding their physical appearance, body image, and fashion requirements and trends. The physical attraction dictated by the market and the media is becoming an important part of a woman’s sexual role. In fact, the position of women in society perfectly corresponds to today’s management of society within the framework of the prevailing neoliberal social paradigm. The key elements of this regulation are the demands for economic efficiency, competitiveness, marketing, and jostling for position. The status of those who do not have a consolidated position in this new structure – women and young people – worsens. More and more they are forced to resign themselves to precarious forms of employment. Women today are trapped in a situation in which formal obstacles to equality have been removed, but much more subtle and hidden obstacles in the form of sexist views and ideologies regarding gender roles continue to exist. At the same time, it seems that in this situation only personal choice and individual ability determine the fate of an individual. But this is probably the reason why young women, precisely because of their apparent empowerment, fail to recognize discriminatory mechanisms and do not feel the need for organized action and activism. The nature of patriarchy has also changed greatly. Patriarchy is becoming more indirect and expressed in business relations that respect measurable results more than established hierarchical relations. In practice this means that arguments for inferiority have changed from being directly gender-based (men are more capable than women) to indirectly gender-based (men are better adapted to competitive conflicts, and conflicts are essential in the existing order of things). Whereas the old patriarchy spoke the direct language of power and authority that clearly showed everyone, and especially women and young people, their place, managerial discourse is not expressed patriarchically but rather transfers the responsibility onto the individual, who is always accountable for everything based on their own individual choices. It is not a coincidence that the interpretation of gender relations is also frequently like this. Cultural sociologist and feminist, professor at the Faculty of Arts, University of Ljubljana. The party that was later led by Janez Drnovšek who, with brief interruptions, governed the country between 1992 and 2002. Slovenian lawyer and former judge at the European Court of Human Rights in Strasbourg.